Ian Bell, Jem Stephenson and Damian Stuart join Computer Troubleshooters’ team of international franchise owners who provide onsite computer services and IT solutions to small and medium-sized businesses and residential users. INDEPENDENCE, Ohio – Oct. 14, 2016 – PRLog — Computer Troubleshooters is delighted to welcome Ian Bell, Jem Stephenson and Damian Stuart to our network in the United Kingdom. Bell, Stephenson and Stuart join Computer Troubleshooters’ team of international franchise owners who provide onsite computer services and IT solutions to small and medium-sized businesses and residential users. The three franchisees recently completed their new owner training in the United Kingdom and are eagerly preparing to open their new franchise businesses. “We warmly welcome Ian Bell, Jem Stephenson and Damian Stuart to Computer Troubleshooters and look forward to their professional contributions to our team. Each of these new franchisees will add to our network’s international reputation for top quality technical skills and services,” added Iain Mcleod, National Director of Computer Troubleshooters UK. Ian Bell will be providing Computer Troubleshooters’ technical services in the North Staffordshire area. Bell brings both an engineering and broad business background to his new role as a franchisee. He has more than 25 years of experience in software development, technical support, sales, marketing and management based around PC technology. Bell has recently focused on applications and systems engineering while working with customers to assist in the design and deployment of computer-based measurement and control systems, with a particular focus on energy applications. Ian Bell can be contacted at ibell@comptroub.com. Jem Stephenson will be providing Computer Troubleshooters’ services in the North West Lancashire area. Stephenson joins the network with over 30 years of experience in large corporate IT services provision including a career with both EDS and Hewlett Packard. At Hewlett Packard, his role was as Service Delivery Executive, responsible for delivering IT services to UK&I Public Sector business and helping growth in that market. Damian Stuart’s new franchise will be providing Computer Troubleshooters’ services in the Bradford area. Stuart joins the network with over 25 years of experience as an IT consultant. For the past 10 years, Stuart worked at Computercenter, Ltd, one of the United Kingdom’s largest IT services and support companies with projects including delivering Managed Services to the Royal Mail. He also worked in IT services for Shoosmiths, LLP, one of the country’s largest law firms. Computer Troubleshooters is the largest international network of franchise owners providing onsite computer services to small and medium sized businesses and residential users. 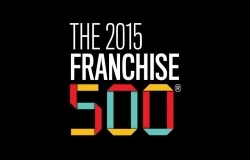 Computer Troubleshooters now has over 200 franchises worldwide in more than 15 countries. Computer Troubleshooters’ excellent franchising opportunities provide continual technical training and support; access to exclusive vendor relationships; access to office administration and billing systems; a local website with SEO services; plus active marketing campaigns that make it easy for customers to find the services of local franchises. The combination of these features makes Computer Troubleshooters the best choice for our clients and a great business opportunity for our franchisees. Computer Troubleshooters congratulates Chris Long, owner of Computer Troubleshooters of North Phoenix, on this well-deserved award. INDEPENDENCE, Ohio – Sept. 27, 2016 – PRLog — Computer Troubleshooters is delighted to announce Chris Long as their 2016 Franchisee of the Year. Computer Troubleshooters, an international franchise brand that delivers technology solutions and support to both business and residential customers, congratulates Chris Long, owner of Computer Troubleshooters of North Phoenix, on this well-deserved award. 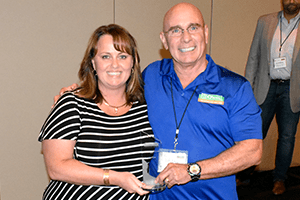 Computer Troubleshooters announced franchisee Chris Long as their 2016 Franchisee of the Year during the organization’s annual conference. This year’s well-attended meeting was held at the Mirage Hotel in Las Vegas. The 2016 conference coincided with the recent announcement of Computer Troubleshooters Global, Inc. acquisition by CPR Cell Phone Repair. Both of these technology services franchise networks are owned by parent company Merrymeeting Group located in Independence, OH. Chris Long credits the success of his North Phoenix franchise to the commitment of extra hours, hard work and endless networking. Long’s technical skills and the professional management of his franchise have been key elements to the growth of Computer Troubleshooters of North Phoenix. Additionally, Long is noted for educating and informing both potential clients and franchise colleagues through his regular involvement with national conferences, meetings and training sessions. “Computer Troubleshooters congratulates Chris Long on his personal drive and commitment to both business and life. We acknowledge his professional generosity and kindness within Computer Troubleshooters’ franchise network,” added Ms. Weinberger. The Merrymeeting Group is pleased to announce that MMI-CPR, LLC (dba “Cell Phone Repair” and “CPR”) has acquired Computer Troubleshooters Global, Inc. (“CT”). INDEPENDENCE, Ohio – Sept. 14, 2016 – PRLog — The Merrymeeting Group is pleased to announce that MMI-CPR, LLC (dba “Cell Phone Repair” and “CPR”) has acquired Computer Troubleshooters Global, Inc. (“CT”). CPR is the world’s largest retail, mobile device repair company with 270 retail store locations in the US, Canada, Mexico, Guatemala, Nigeria, India and Kuwait. CT is a large provider of IT services to consumers and the small to medium sized business community. CT has approximately 198 offices located throughout the world, primarily in the US, Canada, Australia, New Zealand and Great Britain. Bryan Windham, franchise owner of Computer Troubleshooters of South Arkansas, was a key participant in the Successful Owners Panel at the recent Computer Troubleshooters and Geeks On Call national conference in Denver. 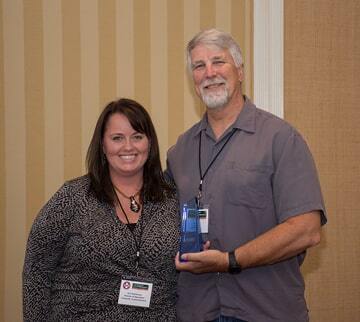 PRLog – May 28, 2015 – INDEPENDENCE, Ohio — Computer Troubleshooters and Geeks On Call are proud to announce the success of their second annual joint national conference held in late April at the Curtis Hotel in Denver. Computer Troubleshooters and Geeks On Call are both franchise brands that deliver technology solutions and support to business and residential customers. Both organizations are owned by Merrymeeting Group located in Independence, OH.